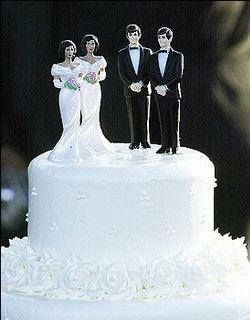 Today is the first day in California that gay couples can get legally married. I *totally* thought that said "Just Got Gay Married!" and I was like, dude, you move quick.